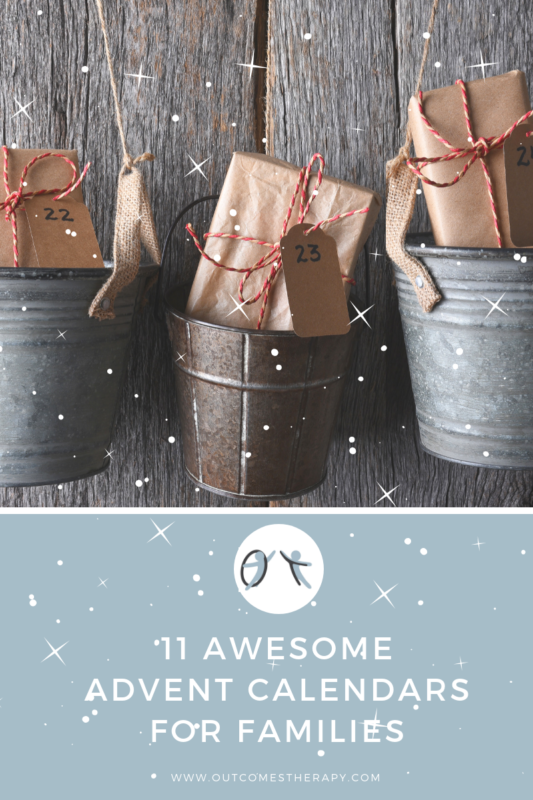 Book Advent Calendar – If you know me, you know that this would be my #1 for every family. How wonderful a tradition to unwrap and enjoy favourite Christmas story each evening for 24 days. Books can be old or new. Simply enjoy cuddling up and enjoying a different story each evening. Cookie Advent Calendar – Now if there is something second to a book to enjoy, it would be a cookie. Combing the two is sheer bliss. Hence my second favourite family advent calendar is the Cookie Advent Calendar. This advent calendar provides a picture and a recipe of a different cookie for 24 days. Yum. The cookbook is available here: https://amzn.to/2ShWocn and it is my choice of an advent calendar for 2018. Another option to tailor the countdown to your child’s changing interests is to make your own. You can access a wooden advent calendar and simply fill with different activities, treats or toys each year. I also want to create an exercise advent calendar where you get a different activity each day: Who doesn’t want to do a 1-minute plank, 2 minutes of running, 3 sit-ups….all the way up to 24 jumping jacks – I think I am onto something! 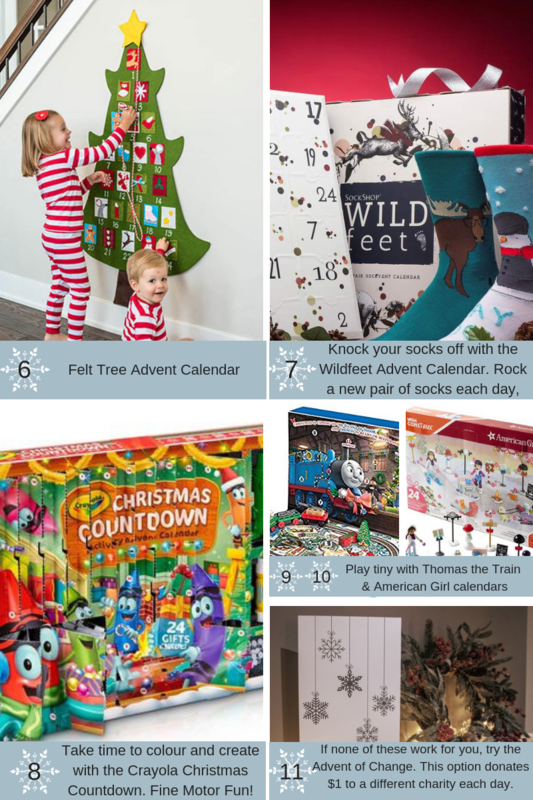 If time is not on your side, the Felt Tree Advent Calendar can be a good compromise (https://amzn.to/2DNaOx5). You don’t need to make this one, you just need to add your treats, cards, or toys each year. 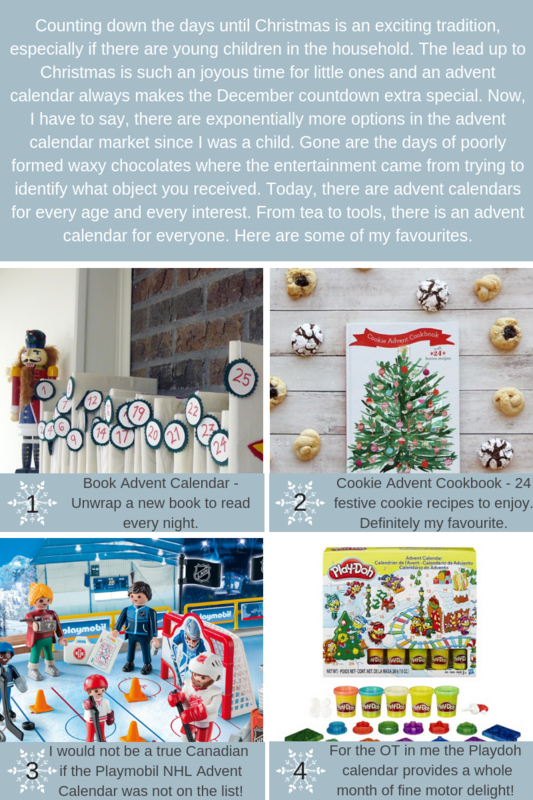 Another great option for Advent Calendars is to follow your child’s interest. I especially love the 2017 Thomas the Tank Engine Advent Calendar (https://amzn.to/2P5IIPE). This calendar allows you to build a train track for Thomas and all his friends to chug around. As an OT, this play with small objects is wonderful to foster development of fine motor skills and pretend play. Another option that follows a child’s interest is the American Girl Advent Calendar – https://amzn.to/2zvs9rl This calendar again allows for the development of creative play and play with small parts. A fun alternative for adults and children is to access one of the Sock Shop Wild Feet Advent Calendar. This option provides a different quirky pair of socks. There are also Star Wars Socks and Harry Partner Socks – who would have guessed it? Options may be found for men, women, and children. Our 10th favourite advent calendar at OuTcomes Therapy is Crayola’s Christmas Countdown. 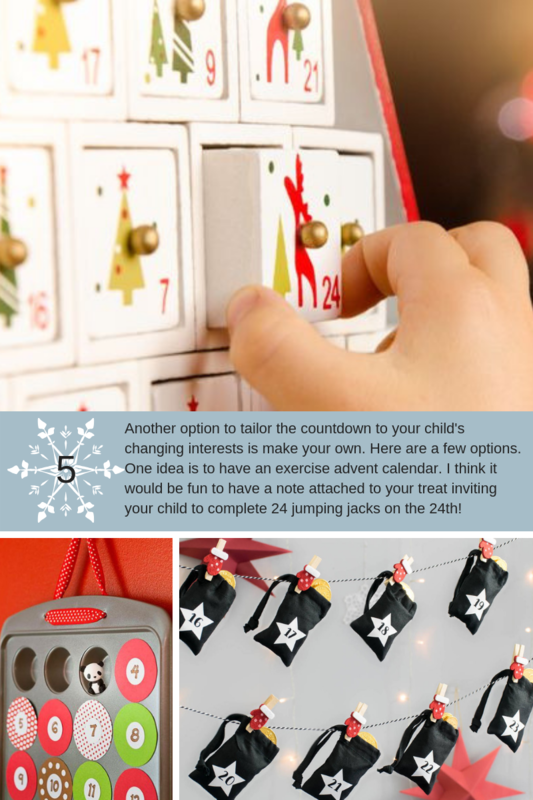 This advent calendar gives children 24 different activities to complete throughout the month of December. If none of these options resonate with you, please find linked a Family Activity Calendar for everyone to enjoy. This Family Activity Calendar invites you to enjoy a variety of simple, festive experiences as a family. It focuses less on the materialism of Christmas and more on creating a series of memories for years to come. Occupational therapists believe strongly that health comes through participation in meaningful activity. It is my sincere hope that these activities bring joy and create long-lasting memories for your family. Enjoy! When you sign up for our newsletter, you will receive a free download of the Family Activity Calendar. This entry was posted in School/Home and tagged advent calendar, christmas, family, holiday, Occupational Therapy.